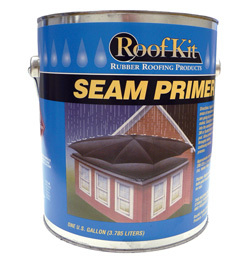 Our proven flat roof products are used by both contractors and homeowners for flat roof repairs of minor damage. 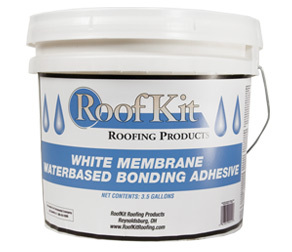 The following roofing materials can be used for White Reinforced flat roof maintenance and repairs. 25 ft. roll of 3” Seam Tape, 1 pint Primer, scrub pad, seam roller, and 2 wipe clothes. 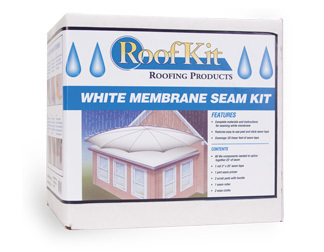 Seams two white membrane sheets together. 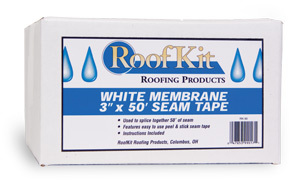 Heavy duty, easy to use, with no caulking required. • 1-pint, 6 per case. 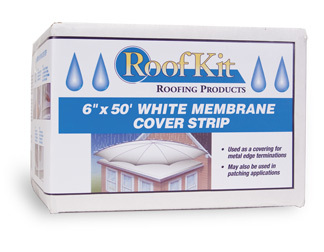 Adheres white membrane to suitable substrate. 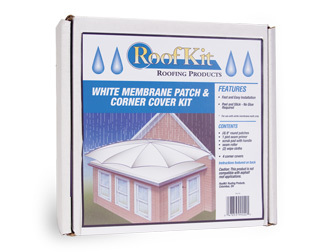 High coverage rate, environmentally safe. Peel and stick tape for completing metal edge detail. Also for patching long tears in membrane. 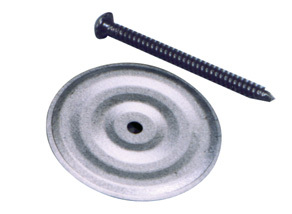 Used for repairing small cuts and holes in white membrane. (6) 8” circular peel and stick patches, 1-pint seam primer, scrubbie pad, wood roller and wiping cloths.